It’s easy to get overwhelmed by supplies, especially if you’re in the industry. So, today we’re looking at some simple ways to keep the clutter organized so you and your pets can live in a home that all species will enjoy. Here are a few clever and affordable ways to keep your home dog-friendly without being overcome by their necessities. Over the door organizing racks are probably the easiest way to fit everything into one convenient place. There are tons of organizers to choose from or you can use a simple over the door vinyl or plastic shoe organizer. Whether you choose stylish designs or practical organization, this is the easiest way to store lots of pet supplies – from treats and toys to dog wipes and shampoos. These collapsible organizer sets are the greatest for organizing pet clothing, pet boots and paw protectors. We keep one bin for each dog so our sizing is always easy to grab. The ease of stacking makes it simple to store items according to season – just place the most recent season on top! 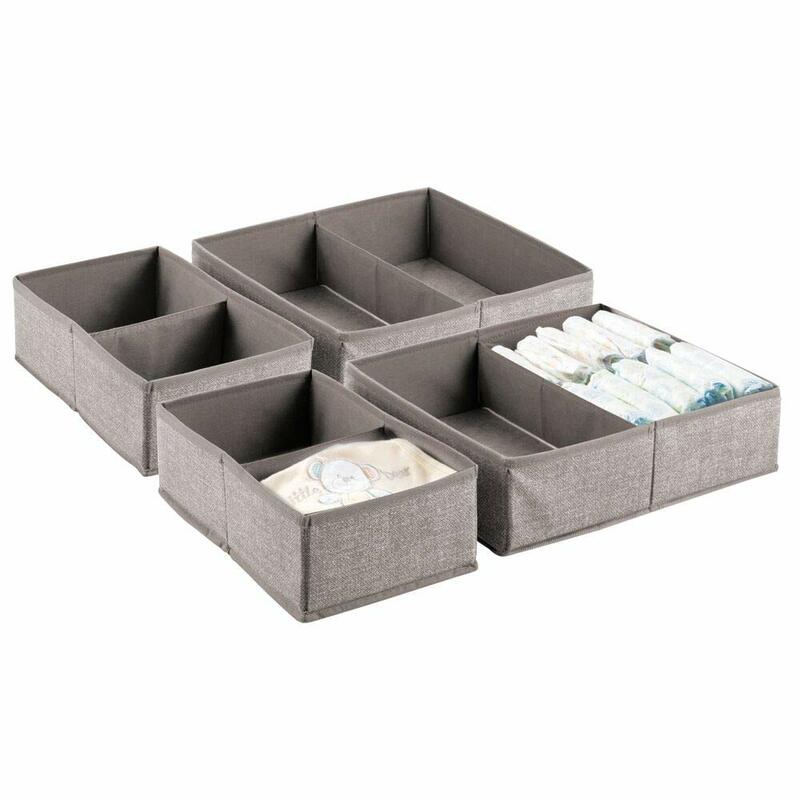 These all fit into drawers for easy storage and when they aren’t in use, they are fully collapsible. Get four of them at Amazon for only $22.99! Create your own custom dog leash holder for each of your dogs. 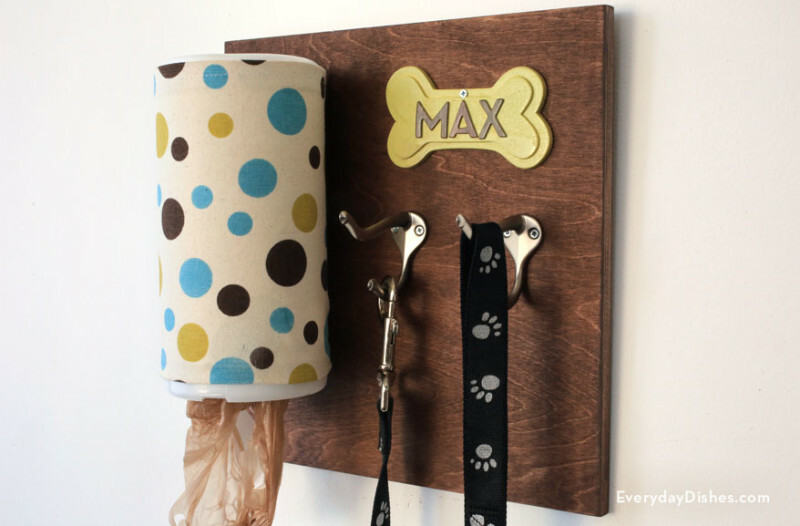 These are very simple to make, can be placed out of sight behind a cabinet or in the entry of your home, and they make grabbing the correct equipment for each dog very simple. Create a separate name plate for each dog and you’ll always have your equipment organized. DIY: Learn how to make this cute entry way organizer at EverydayDishes. Not ready to make one yourself? That’s okay! There are plenty that are premade for you. If you find yourself in need of extra space, just hang a recyclable cotton canvas tote bag from the hook instead of leash. 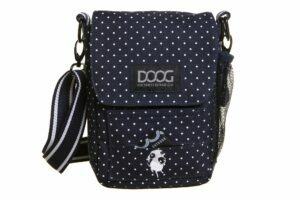 It’s ideal for placing awkward-sized dog walking gear, like harnesses, inside. Out of sight, out of mind – but still easy to access. The other day, we somehow gathered up our excited dogs and leashes, got everyone secured and left the house without doggy bags. Don’t you hate that? Make your life easier by keeping everything stored in one “grab and go” kit for your walk. 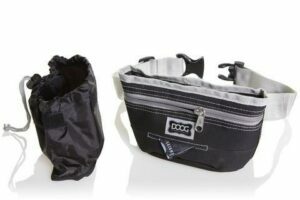 The Doog Walking Bag is perfect for keeping a spare set of house keys inside, along with your biodegradable doggy bags and tushie wipes (in case of emergency). Store Food in Stackable Containers. We spend a lot of money on high-quality pet food, so keeping it fresh and free from bugs or out of reach from mice is important. The Vittle Vault does all that and more. We love them because they are high-quality, ultra-strong and easy to stack. These airtight containers give you quick access to each pet’s food. 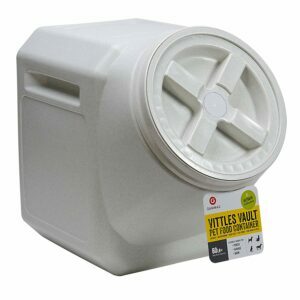 They are also available in a variety of sizes, making feeding your pets individual diets a breeze! Make grooming easy by creating a simple Grooming Caddy! Make your own from a 5-gallon bucket or choose one that’s specifically designed for dogs. We love all the pockets where we can store our brushes, sprays, shampoos and more. These caddies make bath day much less complex. Just store the kit in the laundry room when not in use. These are simple to make and ideal for bathing dogs, cats and horses. 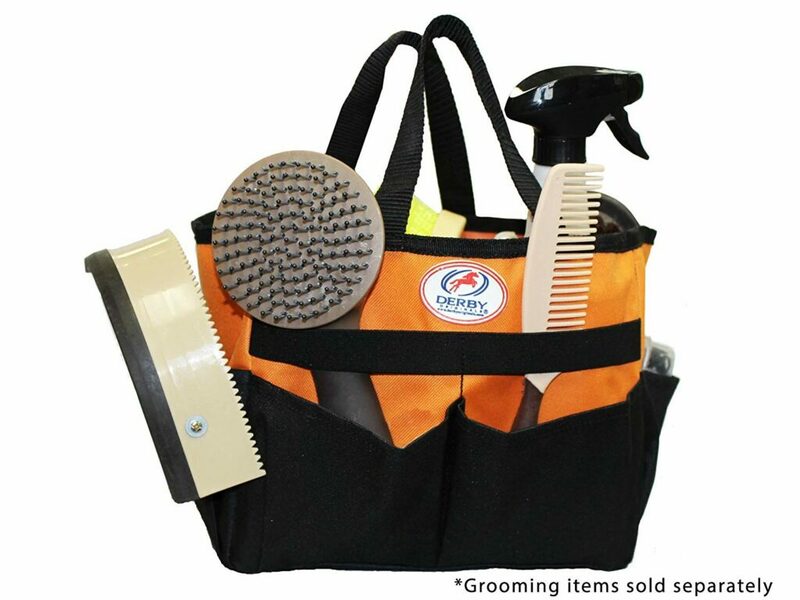 Grab your grooming tote at Amazon for just $14.95. We have more dog toys than any house should have. But, we want our dogs to have the most fun they can have in this lifetime and it helps enrich their lives to trade toys out frequently. Use a toy bin to keep your dog toys in one location. 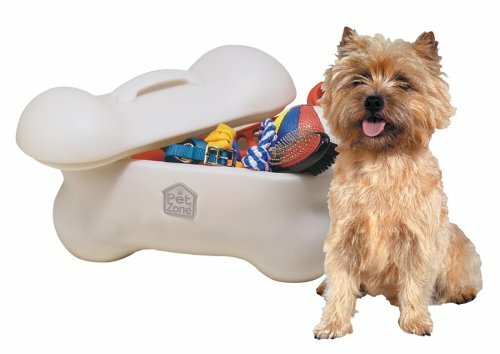 This toy bin is one of the more popular bins (and best of all, you can teach your pets to clean up their own toys)! 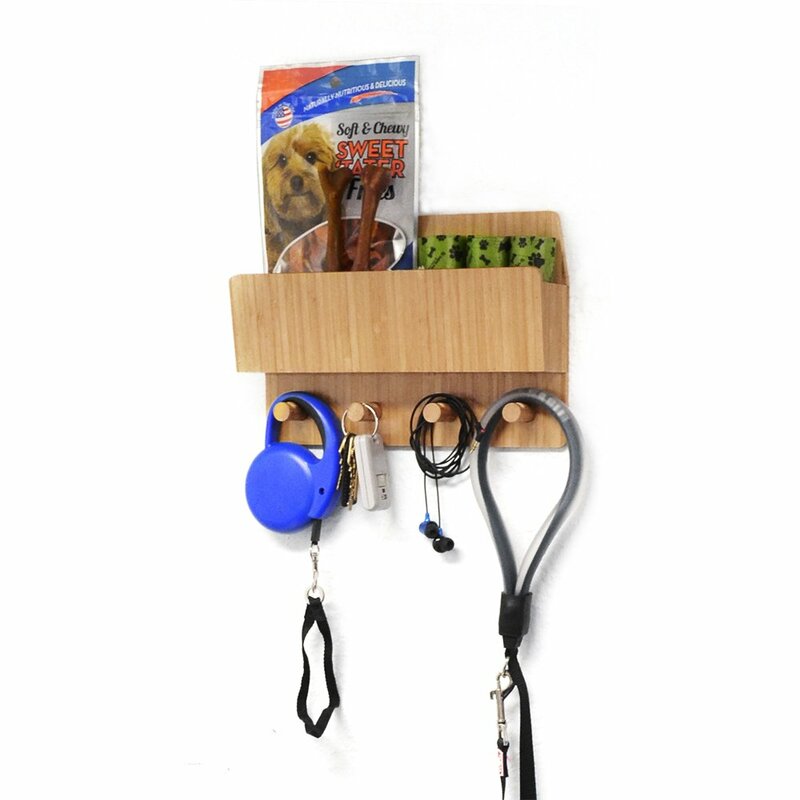 Dog treat storage doesn’t have to be difficult and there’s no need to confuse your pet’s treats with your own treats. Make your own treat organizer by glueing “clip strips” onto a thin piece of board to create your own “retail display” at home. You can also utilize “command spring” clips which are designed to leave your home damage-free! Disaster can strike at any time, so if you haven’t already created a “go bag”, it’s time to do so. A Go Bag (or “bug out bag”) is for when you need to leave at a minute’s notice, as in the case of fire, flood, gas leak, or any other emergency. Read this article about how to create a go bag to create one for each of your pets. If you’re planning to hit the road with your pets this summer, it’s going to be very helpful to organize your supplies. 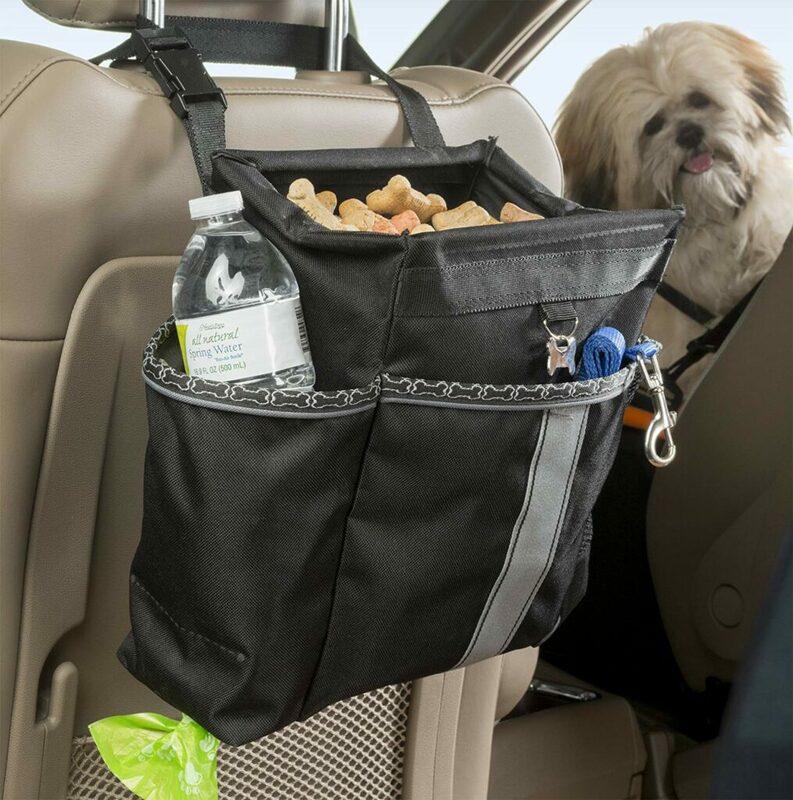 These organizers are very helpful for keeping things away from your dog (especially food and garbage) while you’re on the road. If you’re planning on going camping or on a road trip, make sure you pack your pet’s food as well! 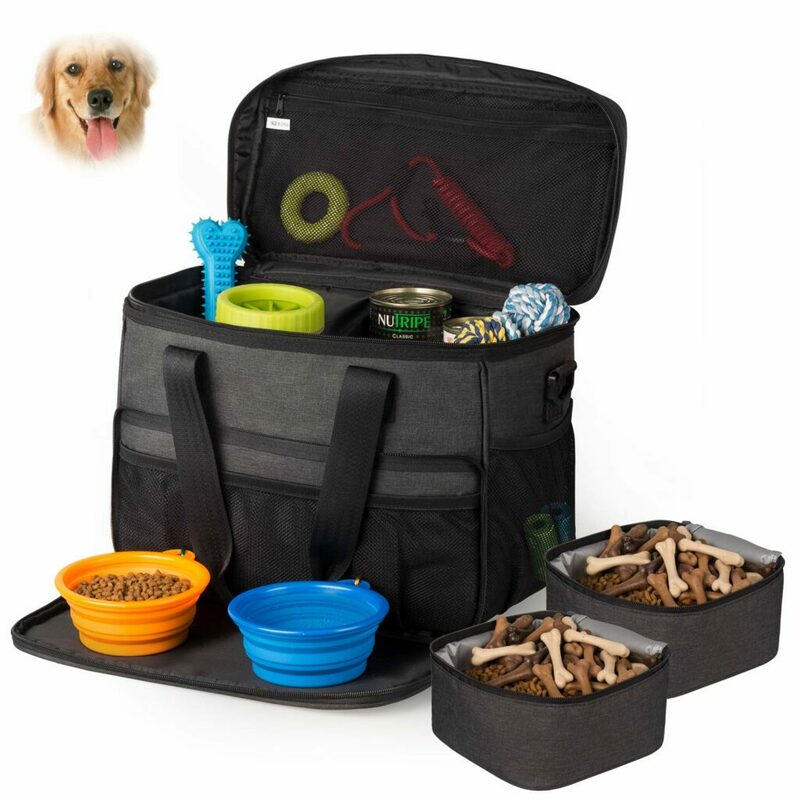 This set comes with food carriers, silicone collapsible bowls, dry food bowls and more. It’s a great way to keep your pets food separated from your own! 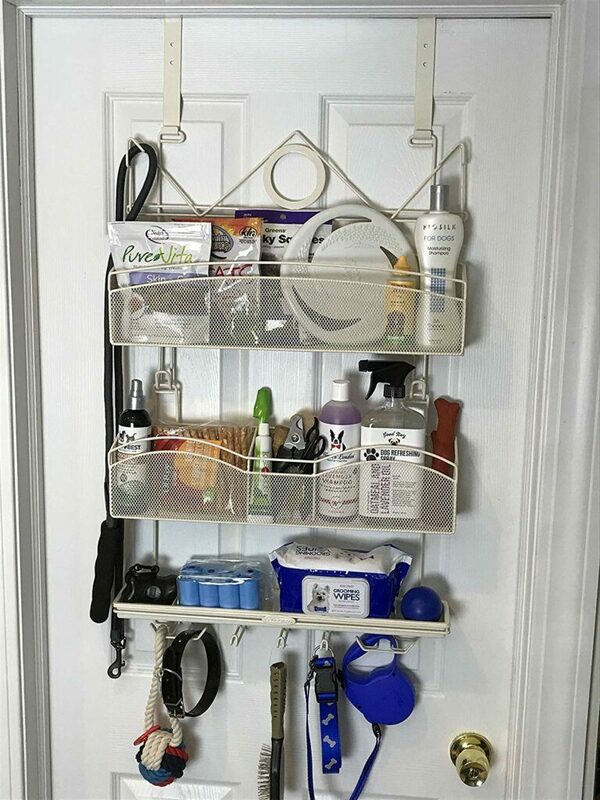 We hope to see your own organizational ideas for pets!